In this episode of the Vanguard Podcast – A NATO report released before the military alliance’s summit in Warsaw reveals that Canada lags behind other nation members in terms of defence expenditures. However, Prime Minister Justin Trudeau announces the deployment of Canadian troops at the very doorstep of Russia to act as a buffer against Kremlins recent aggressive stance. 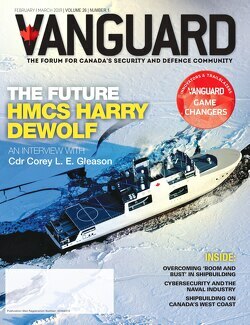 It’s back to drawing board for Liberals on the CF-18 replacement program and the latest edition of Vanguard Magazine is now available.